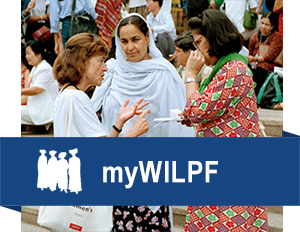 WILPF has done a lot of work over the decades to ensure gender diversity in disarmament discussions, including a diversity of participation and perspectives. This work is having more impact than ever these days, with a number of groups taking up the work and more governments recognising its importance. Throughout 2016, we produced articles and research policy papers on preventing gender-based violence through arms control, examining feminism and war, and exploring the gendered dimensions of weapons use and trade. We have also engaged with activists around the world from Latin America to Africa to the Middle East around implementing the gender-based violence provisions of the Arms Trade Treaty and including gender perspectives in efforts to end the use of explosive weapons in populated areas. We will continue this work for years to come! We have several projects underway, such as research report looking at the connections between sexual violence against women and girls and foreign military bases in Djibouti; more research and policy development on incorporating gender perspectives into arms embargoes and other initiatives against the international arms trade; and gender perspectives on remote warfare technology such as armed drones and autonomous weapons. Stay tuned in 2017!